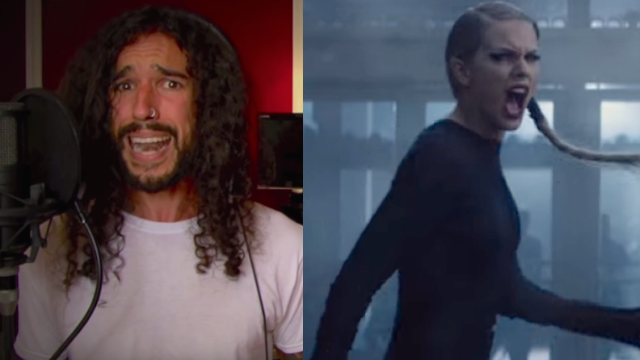 This metal cover of Taylor Swift's "Bad Blood" sounds like this is what the song was meant to be. Musician Anthony Vincent took Taylor Swift's pop-y anthem about holding onto your anger and made its sounds match its content. Well, this video certainly features far fewer hot ladies, but it does have at least two more awesome instrumentalists playing on camera. Wait, that's one guy? Huh. Maybe one way to avoid bad blood is just working with yourself? Anyway, if you do want to scare someone, you'll probably have a better chance with this version. He actually sounds really mad.